Competition day was a bit unnerving, however I was sure to remind myself that yoga practice is SO dependent on your day. 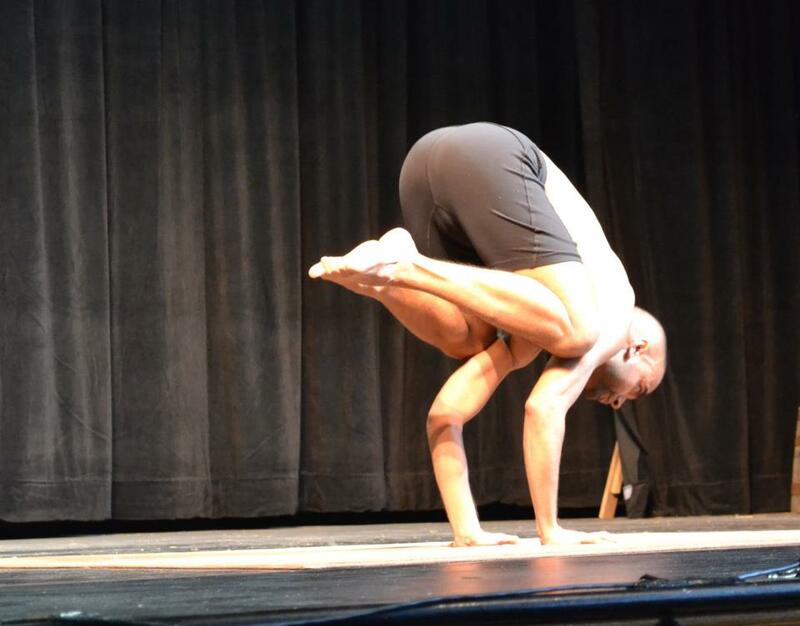 The best I could do would simply be to show up and perform my postures to the best of my ability, for that day. 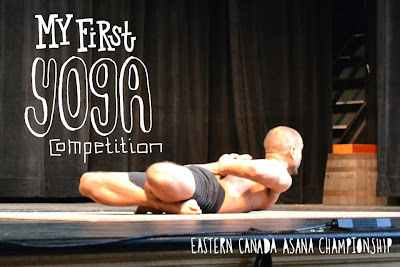 In all honesty I could not have asked for anything better- I successfully entered, held and exited my seven postures without falling out in under 3 minutes (2 mins and 28 seconds to be exact!) to the best of my ability. The feeling that followed the completion of my routine was unreal, I was able to make a distinction between feeling happy and feeling proud- a really special moment pour moi! 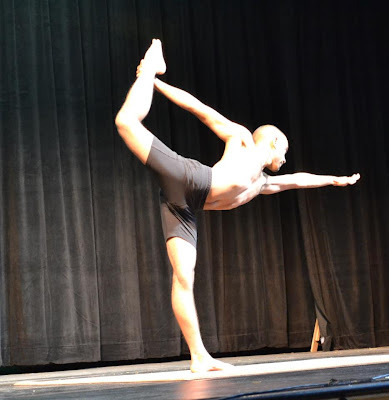 (In the pics below my stretching pose is missing- woops!). Esak Garcia was one of the judges at the competition (pretty cool to see him live and in the flesh!). 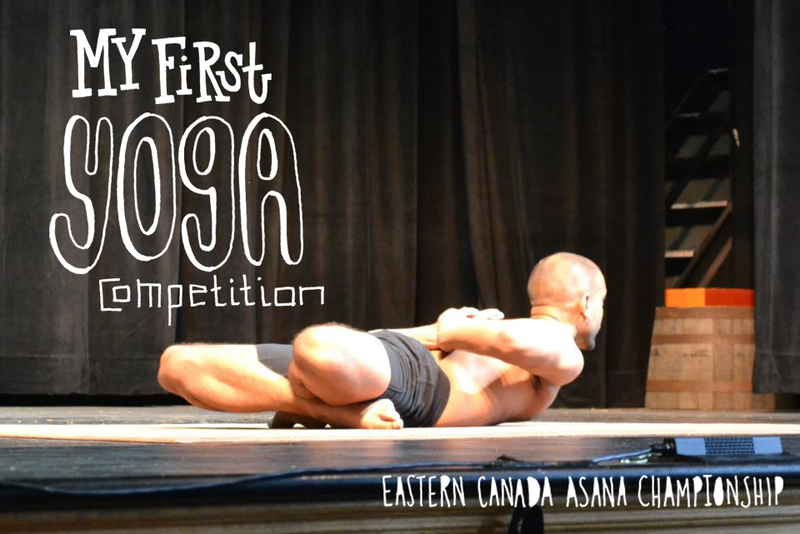 Before the 'winners' we announced, he noted that there are no 'winners and losers', instead we are all yogis sharing our practice and journey with the audience, and the 'winners' are simply representatives within the yoga community for our region- I loved that! Even though I didn't place (hey, Joseph Encinia never placed the first time he competed!) I am extremely proud of myself for squashing this goal. A huge THANK YOU to all of the instructors, fellow yogis, friends and my family for making this a truly rewarding experience. You're support was overwhelming and I could not have done it without you all! Got a pic in The Toronto Star online! WOAH!